Build overall leg and targeted muscle strength with the Harbinger 3-Inch Heavy Duty Ankle Cuff. The expanded 3-inch ankle wrap lessens stress on ankles in lifting heavier weights. 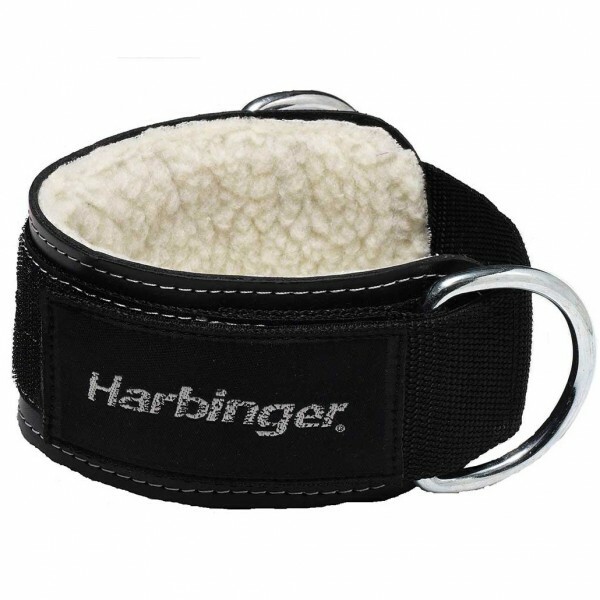 With plush shearling lining for enhanced comfort, the Harbinger ankle cuff clips easily to universal gym cable machines with attached D-ring. The Elevation Ladder combines two of SKLZ's best selling training aids, Quick Ladde..